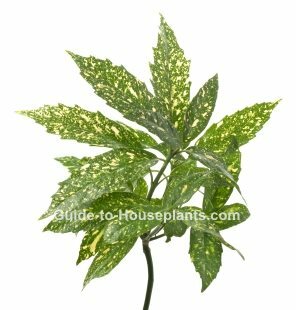 Green leaves heavily dusted with golden-yellow spots makes Gold Dust Plant a cheery house plant, and a beautiful accent among other foliage plants. You'll have easy success with this compact, upright shrub because it adapts well to indoor conditions. In fact, it doesn't need much attention to thrive. It grows well in a pot. 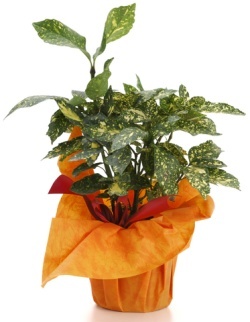 Just shade it from direct sunlight, keep it cool and well-watered. Prune it back each spring to keep it small. Aucuba japonica varieties include both male and female plants that produce clusters of tiny purplish flowers in spring. They're not very attractive, but if pollinated, the flowers are followed by bright red berries carried on the plant through the winter. 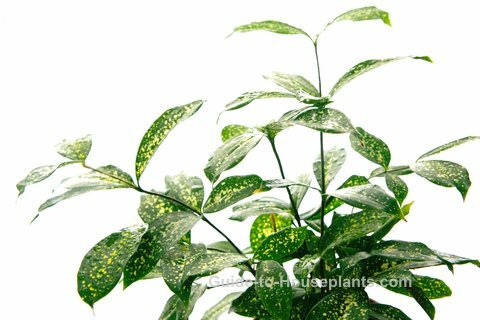 Aucuba japonica is known by a few common names: Gold Dust Plant, Japanese Laurel, Spotted Laurel and Japanese Aucuba. A few cultivars are available... 'Crotonifolia' has broad leaves spotted with yellow. 'Serratifolia' (shown below) has mottled yellow saw-tooth leaves. Prune in spring. Although slow-growing, Gold Dust Plants will get tall and leggy over time. Prune the stems back hard in spring to keep Japanese aucuba a manageable size indoors and to encourage branching. Pruning tip: Cut stems at a 45° angle, just after a node (the place where a leaf or branch is attached to the stem). Use sharp pruners to avoid tearing the stems. 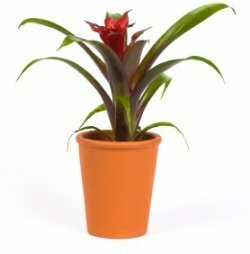 Repot in spring, moving up to a container 1 size larger every 2-3 years, or when needed. If your Japanese aucuba is already big, you can top-dress instead by removing the top 2-3 (5-7.5 cm) inches of soil and replace it with fresh potting soil. Clean those beautiful spotted leaves to keep them dust-free. Wipe them off with a damp cloth. 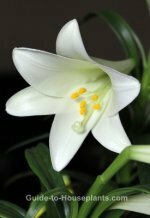 Height: Up to 3 ft (90 cm) indoors. Prune to keep the shrub small. Light: Bright indirect light. Some cool, direct morning sunlight is fine. Bright, filtered sunlight will help Gold Dust keep its variegation. Don't move it outdoors unless you have a cool, shady spot for it. Water: Keep the soil evenly moist from spring through fall. Then, cut back on watering in winter when growth has slowed. Humidity: Average room humidity -- around 40% relative humidity or higher. Because levels can drop drastically in winter, it's a good idea to use a pebble tray or cool-mist humidifier. Temperature: Cool (45-65°F/7-18°C) temperatures year-round suit this Japanese laurel just fine. In fact, it can tolerate cold -- down to 5°F/-15°C -- and is sometimes grown as an outdoor shrub. Propagation: Sow seed in spring, Or take 4 in (10 cm) stem tip cuttings in spring or summer and root in moist potting mix.